Home Top Global News Industries As a business, your costs are up. What about your prices? NEW YORK — It’s not just your electric bill that’s going higher — all types of expenses are rising for small businesses as inflation grabs hold across the economy. That has owners more likely to raise their own prices than at any time in the last decade. Should you be among them? 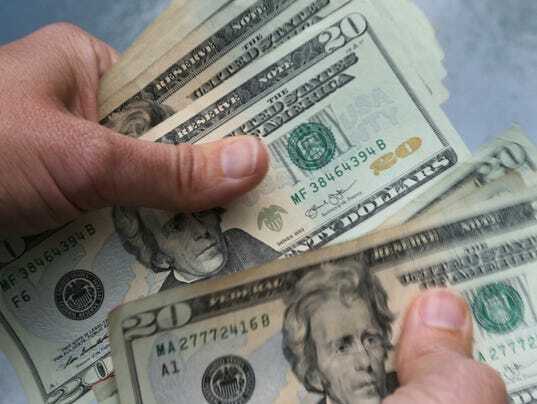 The percentage of small businesses raising their prices in May jumped to the highest level since 2008, at a net 19 percent, according to a survey by the National Federation of Independent Business. And more seem set to follow suit. A little more than a quarter of small businesses said they plan to raise their prices over the next three months, the highest level since 2008. They’re following ground already trod by some big rivals. Starbucks upped the price of a regular drip coffee this month by 10 to 20 cents in most of its U.S. stores, for example, while Amazon announced an increase in its annual Prime membership fee by $20 to $119. Those behemoths drew some ire from customers, but are pushing ahead. “Smart retailers raise their prices, and the failing ones say they can’t,” said Bob Phibbs, CEO of The Retail Doctor consulting group. The risk of losing customers by raising prices is always real, particularly after a long low-inflation economy. But the pressure is on to join the tide as labor costs keep climbing. The unemployment rate is at an 18-year low and minimum wages are rising, which increases competition for workers. A single mother of two put everything on the line to turn around a trolley manufacturing company. Don’t assume switching to lower-cost items can fix everything. Phibbs tells of a restaurant in Brooklyn that used to serve freshly baked bread with its dinners, but its new owners decided that was too expensive and switched to prepackaged dinner rolls. Sales dropped off in the ensuing months because the bread was one of the main draws for customers. Consider raising prices only on some, rather than across the board. The products and services that are selling the best are the ones already proven to be what customers want. So they should be the ones that customers will be most willing to pay more for. Give some advance warning. Let customers know a week or so beforehand that price increases are coming for some items, with a short explanation that it’s to help maintain quality and that you appreciate their understanding. Make sure your employees are on board. They’re the ones who will face the brunt of questions and complaints from customers. They may also have questions of their own. Consider Heidi Owen West, who owns two apparel stores in Saratoga Springs, New York: Lifestyles of Saratoga and Caroline and Main. Consider that this may actually be the best moment to raise prices. The economy is growing, unemployment is low and consumer confidence is close to its highest level since 2000. You have an idea for a business and you’re ready to launch, but should you? USA TODAY Contributor Paul C. Brunson explains why good ideas don’t necessarily make for good businesses.